Rose Cottage, Scarning Dale Cottages in Scarning, near Dereham sleeps 2 people. Scarning Dale House is an elegant property occupying a peaceful and relaxing setting set amidst 25 acres of landscaped gardens with waterfall and pond, meadow and woodland with lake. Each of the holiday cottages is separately set within the grounds, although Lodge Cottage (B6008) is an annexe attached to The Lodge (B4013). Each has its own garden and seating area, ideal for couples and families alike. The grounds are abundant with nature and wildlife, with designated trails and pathways leading through meadow and woodland, offering excellent walking and bird watching opportunities direct from doorstep. Guests can enjoy a swim in the indoor heated swimming pool (by arrangement), table tennis and snooker room. Within easy reach of the magnificent North Norfolk coastline for wealth of sandy beaches, nature and RSPB reserves. The famous Norfolk Broads are within 40 minutes drive, with riverside restaurants, cafes, shops, daily boat hire and river trips available to explore the expanse of waterways abundant with bird and wildlife, with many picnic opportunities along waterside. Market town of East Dereham, 2½ miles, has weekly street market, shops, restaurants, cinema, swimming pool and golf course. Gressenhall Rural Life Museum and Union Farm, 3 miles, offers an interesting day out. Thetford Forrest Park with miles of walking and cycle trails to explore and ’Go-Ape’ adventure playground and assault course, 20 miles. Many places of interest and historical houses and sites surround the area, Houghton and Holkham Hall, the Royal Sandringham Estate and museum, Walsingham Shrine and Abbey ruins and Castle Acre and Priory ruins. Traditional seaside resort of Hunstanton, Wells Next The Sea, Sheringham and Cromer offer an array of attractions for all ages. Coastal Path and Peddars Way offer excellent walking and cycling opportunities. Great Witchingham Wildlife Park and Falconry and Dinosaur Park at Lenwade, approximately 12 miles. All properties (refs B6009, B4014 [The Cottage]): Elec and bed linen included.Cot on request. Electric cooker. Microwave. Shared laundry room with w/machine and coin-operated t/dryer. Ample parking. Indoor heated swimming pool (open for private use 1 hr per day by arrangement). Shared hot tub (at cost). Table tennis and ¼ size snooker table. Snooker room with full size table at cost (adults only). Welcome pack.Pets must be kept on a lead.No smoking. NB: Unfenced pond and lake within grounds. All on ground floor: Living room with French door/dining room/kitchen. 1 double bedroom with en-suite shower room and toilet. NSH included (extra charge November - March). Enclosed sitting-out area and furniture. Easy walking access. Holidays at Rose Cottage, Scarning Dale Cottages run from Friday to Friday. 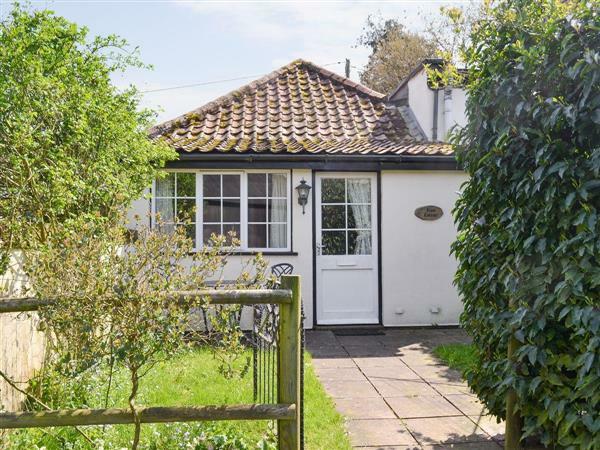 Rose Cottage is in Norfolk; should you be on the lookout for a special offer, you can find all the special offers in Norfolk. It's always worth checking to see what is on offer at the moment. Do you want to holiday near Rose Cottage (B6009), you can see other cottages within 25 miles of Rose Cottage; have a look to find your perfect holiday location.